MONTREAL -- Transport Minister Marc Garneau says he and Canada's transportation industry are "cautiously optimistic" that a deal will be reached to modernize NAFTA. The minister says the sustained efforts by the federal and provincial governments to reinforce to American politicians the importance of the trade deal are bearing fruit. 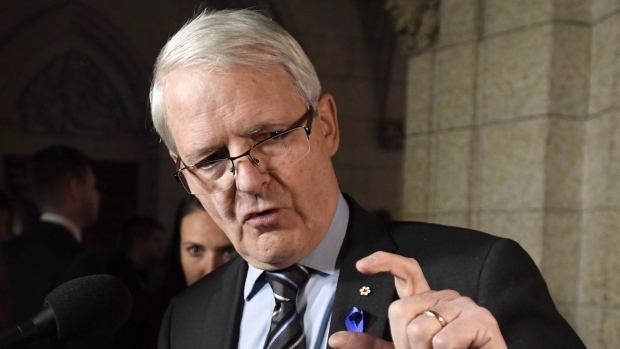 During a closed-door meeting with representatives of the transportation sector, Garneau says they expressed support for Canada's negotiating position and optimism about renegotiations. For them, the impact on volumes of merchandise and people that cross the border is key, he told reporters. Garneau's first meeting with the sector to discuss NAFTA comes days before difficult negotiations are set to resume next week in Montreal. 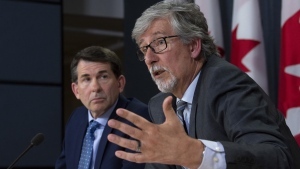 The central bank raised its trend-setting interest rate Wednesday to 1.25 per cent and said unknowns surrounding the future of the North American Free Trade Agreement -- and the potential negatives for Canada -- were casting a widening shadow over its outlook. Transportation analysts have said that the potential dismantling of NAFTA poses the biggest risk to Canada's railways, which would miss out on the benefits of healthy economies and higher demand for oil transportation.